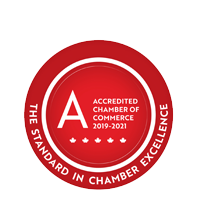 Comfort Inn - St. Thomas | Accommodations | Banquet, Event, Meeting Spaces & Halls - Business Directory - St. Thomas & District Chamber of Commerce - ON, ON ? 24 / 7, 365 days per year. Comfort…it'swhat we do best! Our friendly staff are committed to providing you with the best stay possible with an array of amenities and an ideal location. Each guest room at this non-smoking hotel features a large work desk with ergonomic chair, Keurig coffee brewer, refrigerator & microwave, along with free WiFi, hot breakfast & parking. Main floor rooms feature patio door and drive up as well we have a large outdoor green space that offers 2 BBQ’s with ample picnic tables and outdoor seating. Fitness & meeting room if needed and for that special occasion, ask about our king room with hot tub. For work or play the St Thomas Comfort Inn is the perfect place to stay on your next visit to Elgin County so we invite you to come on Inn, relax and enjoy! At the junction of the Highway 3 St. Thomas By-Pass, Talbot Street and Centennial Avenue near the easterly City Limits.